It's too bad Tony La Russa isn't still managing the Cardinals. His buddy Bill Belichick would have called to commiserate about the brewing HackGate controversy that has triggered a FBI investigation. Did Cardinals staff members really hack into the Houston Astros database and gain access to proprietary information? That sounds like something the Belichick's New England Patriots would do while trying to seek an edge. Industrial espionage would be conduct unbecoming America's Model Baseball Franchise. 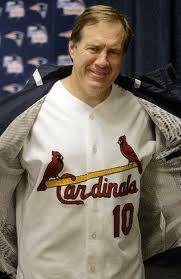 If the FBI finds merit in these allegations, the Cardinals' previously pristine image would be soiled. You know what that means: Folks will wonder what other transgressions the Cardinals have committed while trying to gain advantages. Do the Cardinals keep winning because they run a better operation than most franchises. . . or do they keep winning because they cheat? No franchise wants to deal with such nonsense. Should the FBI bust Cardinals staffers on this beef, the repercussions could last years. This is not a place Cardinals owner Bill DeWitt Jr. wants to live. These are not issues general manager John Mozeliak wants to deal with while everything is going so well for his franchise. 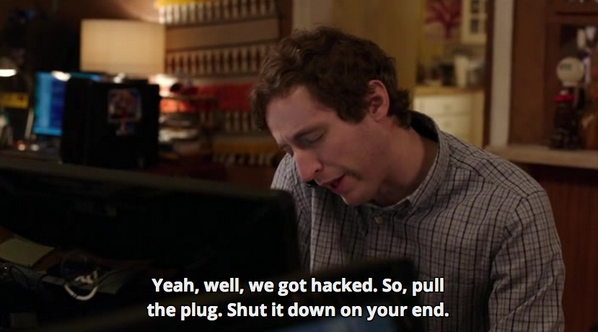 There was nothing to gain by hacking the Astros. There was no point in messing with general manager Jeff Luhnow, the former Cardinals staffer who brought some smart people with him when he left St. Louis after the 2011 season to run the Houston franchise. Sure, Luhnow and Co. have developed some unique analytic models. Luhnow is a smart man who has enlisted some of the best and brightest new-age baseball thinkers. Sure, Luhnow was in the middle of lots of trade chatter since just about everybody on his team was up for grabs. But GMs usually have a handle on which players are available at any given time. Sure, there is rivalry between ambitious stat guys who once worked side by side. Perhaps somebody felt the Astros stole their precious algorithms. Maybe somebody had a personal grievance. Maybe somebody felt like pulling an ill-advised prank on a rival. But it's not like any of these guys reinvented the art of personnel evaluation and development. The Astros lost 106, 107 and 111 games in successive seasons while accumulating prospects and high draft picks. Now, finally, the Astros are getting some payoff from all of that failure. Good for them, their fans deserve better than 324 losses in three years. Any idiot can order wholesale tanking and conduct a perpetual fire sale. The much greater challenge is contending season after season after season -- as the Cardinals have done -- while also drafting impact players like Michael Wacha, Kolten Wong, Trevor Rosenthal, Kevin Siegrist, et al. Now THAT is a knack other franchises would love to have. So there is no reason for the Cardinals to get caught up in such shenanigans.DeWitt, Mozeliak and the rest of the Cardinals brain trust can only hope this is much ado about nothing. "The St. Louis Cardinals are aware of the investigation into the security breach of the Houston Astros’ database," the team said in its official statement. "The team has fully cooperated with the investigation and will continue to do so. Given that this is an ongoing federal investigation, it is not appropriate for us to comment further." Cardinals statement: "BEEPbeep buhBEEEEEP, buh-beepbeep, buhBEEP, beep beep beep BEEEEEP BEEEEEP whhhhssssshhhh WELCOME! YOU'VE GOT MAIL!" Of the Cardinals alleged hacking into the Astros, one exec just said: "Oh my God. It's so much bigger than Spygate." An MLB scout on the budding #STLCards #Astros hacking scandal: "I personally think it's Fredbird." The Cardinals hacked into the Phillies network first, but only found a game of Solitaire. Fun fact about a HUGE number of famous "hacking" cases. They don't involve Hollywood-style "hacks." It's often just password theft. Funny how the Cardinals can hack into a rival's database but couldn't manage to get a bullpen phone to work properly.